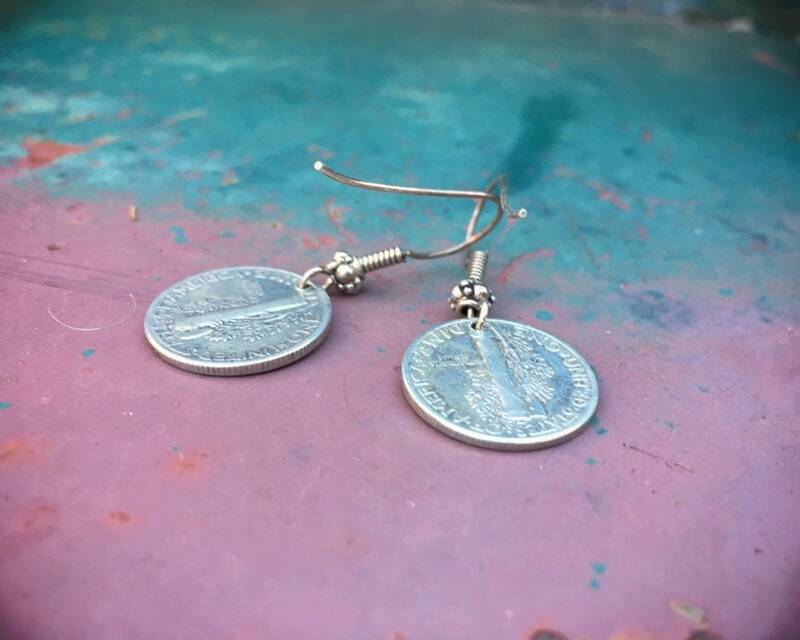 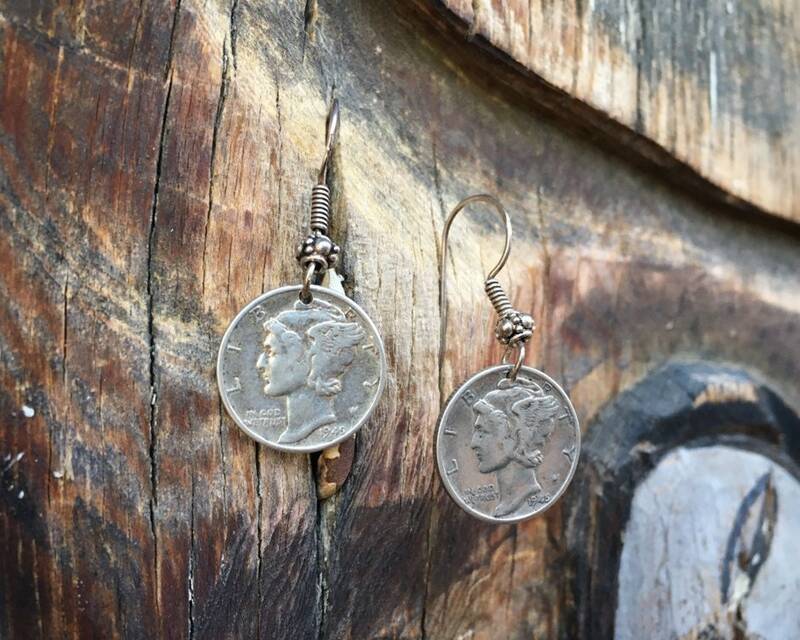 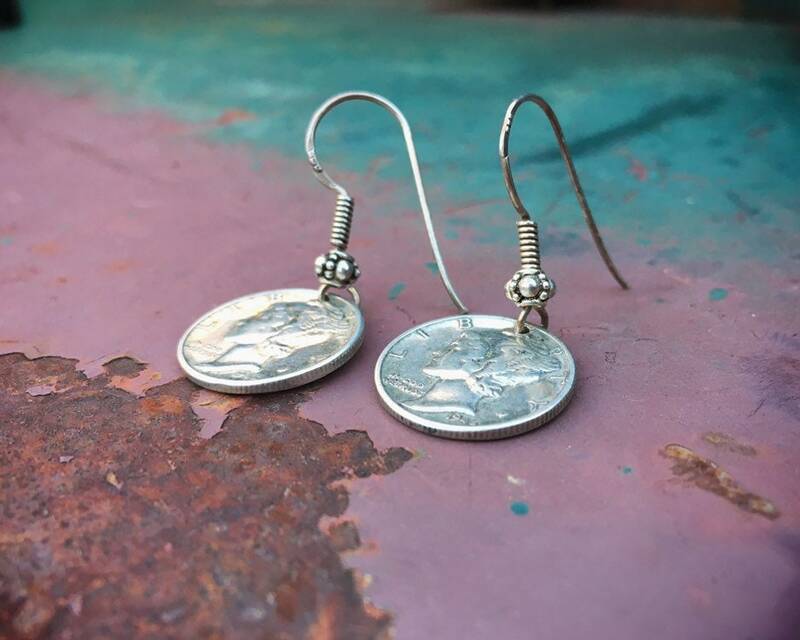 These vintage earrings are made with United States Mercury dimes, also known as Winged Liberty Head dimes. 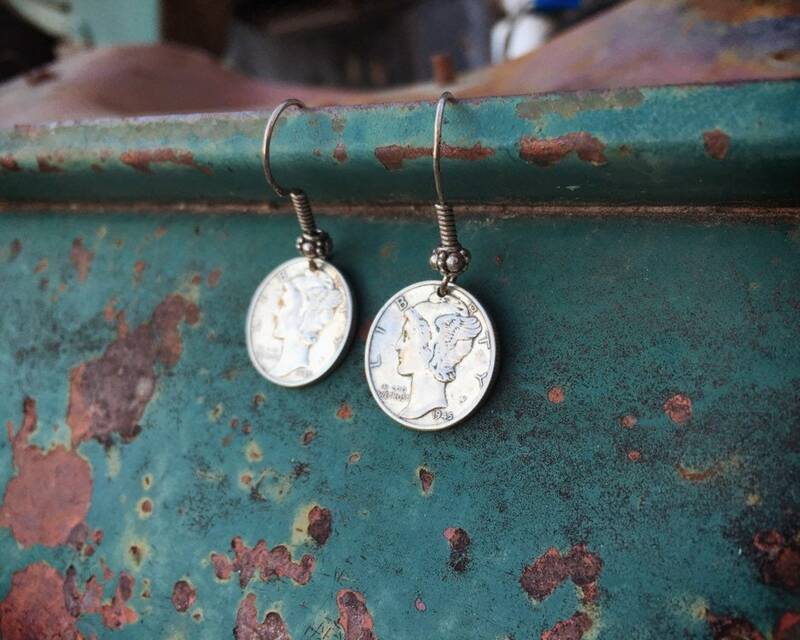 They are .90 silver ten-cent coins issued by the United States government. 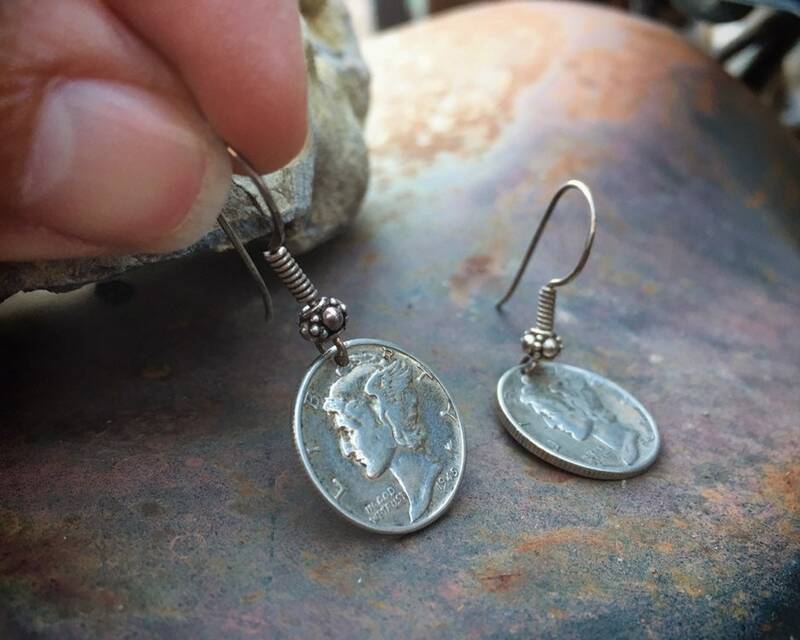 Mercury dimes were minted from 1916 to 1945, and both these dimes are from that final year made. 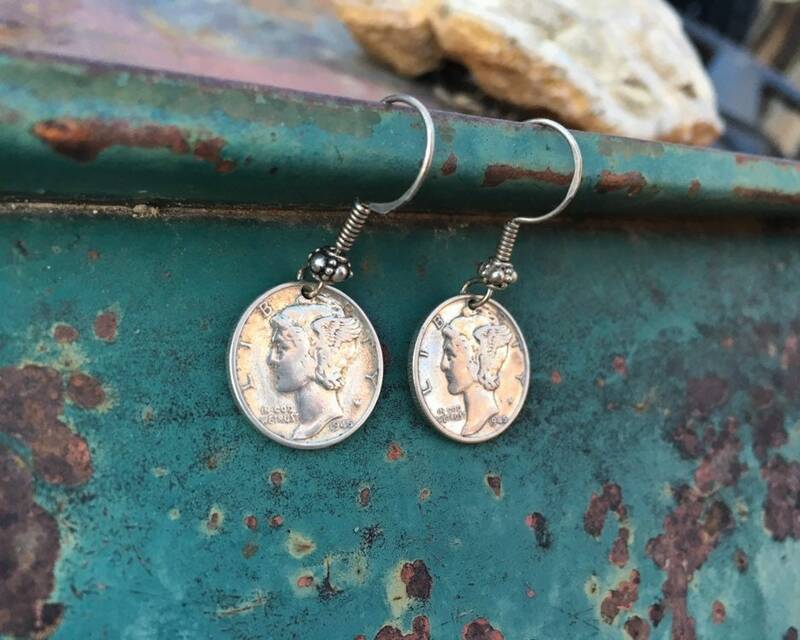 The coin is named after its representation of a young Liberty with a Phrygian cap. 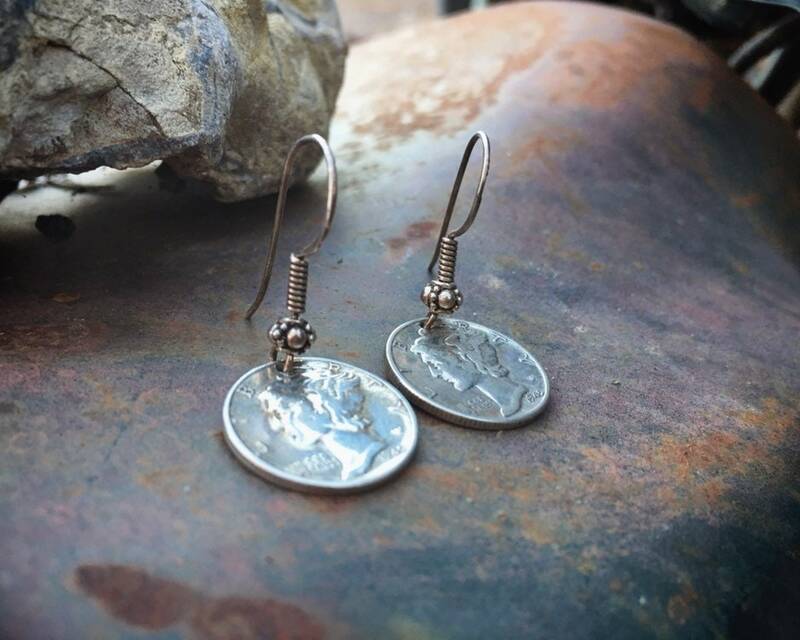 The dimes each measure about 5/8" in diameter and dangle closer to 1-1/2" long. 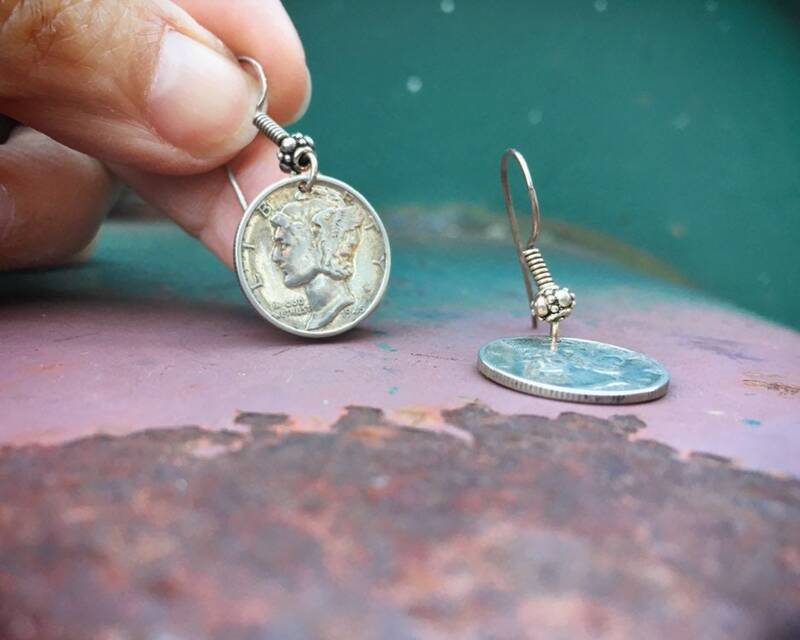 In good condition.. 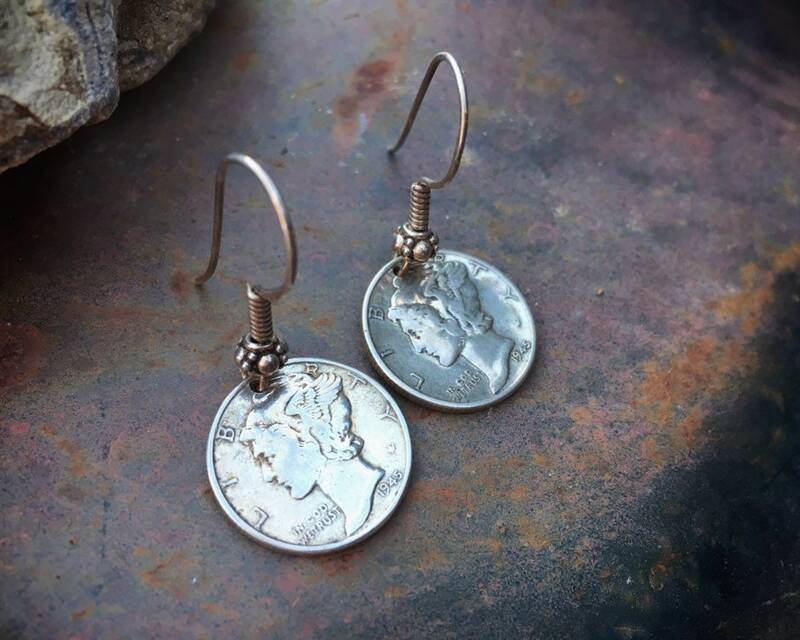 Wonderful gift for the person who loves coin jewelry.